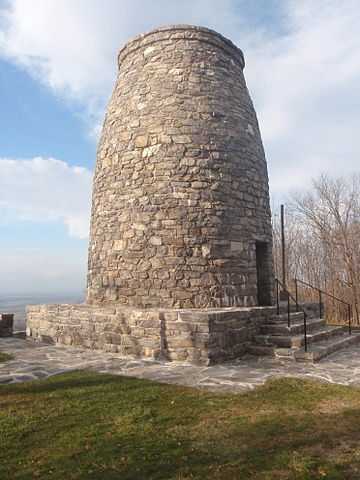 This OCNA exclusive after GW event will take place at The Original Washington Monument, inside Washington Monument State Park, a couple miles outside of downtown Boonsboro, Maryland, at 7:00 PM on Saturday, May 23rd, 2015. Please note there is a $2 parking fee for Maryland residents, and a $3 parking fee for out of State residents. On the honor system, so I'd highly advise you to have dollar bills to put in the little black box at the entrance! This event is designed to NOT interfere with with a 6:00 PM to 7:00 PM CITO event in a Hagerstown City Park, nor the 8:00 PM to 10:00 PM Midnight Madness Geocoin event on the grounds of Geowoodstock; both of which are listed exclusively on Geocaching.com. We're running a little low on OCNA promotional items (we are planning to have many new ones made for our 5th anniversary in August, 2015), but as long as a boatload of people don't show up, we should be able to rustle up something for everyone in attendance, including some non OCNA, yet Geocaching related door prizes. This event will run for approximately 45 minutes. The Monument is a virtual cache on our website, and we should have 2 OCNA moving caches, and at least 2 vehicles which are loggable BIT caches on our website. There are 8 Geocaching.com listed caches inside the park, and all within .3 miles of the event. Hope to see you there! W 77° 37.510' Park here and take a short walk on the Appalachian Trail to the event! Cache was archived. Test edit note on archived log. Yes, we had 5 people who purposely attended this event, and 10 who stumbled on it. One of the 10 was someone who has logged caches on our site though. We also had 2 "will attends" who did not show. I think we were really hurt by the Hagerstown CITO. (Which people tell me there was nothing to do, the park was clean). At least 3 people I thought would come with me went to that. I guess we can't compete with a unique icon for a busy day challenge. Thanks all for attending my 2nd event hosted in Western Maryland (even though I live in Buffalo, NY). If you would have told me I'd be hosting 2 Geocaching events in Western Maryland 2 years ago, I would have told you that you were crazy! We gave out some OCNA swag to the accidental attendees, so hopefully that was a good thing, promotion wise. Ran right over as soon as I was free from my duties at GeoWoodstock XIII. Wow! 15 attendees! And 10 of those were newly introduced to the site! Thank, Mr.Yuck for hosting this AND coming all the way down for this! Well this didn't turn out to be too bad of a turnout. But like DG said, most attendees were accidental. Was pretty cool seeing the tower, and extra special being able to walk on a very very small portion of the Appalachian Trail! Thanks for coming all the way down here Yuckster. See ya back home.